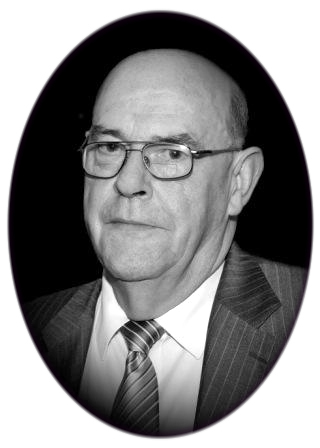 Galway Native, Family Man, Retired Training Manager, Community Activist, Charity Fund Raiser, Award Winning Short Story Writer, Tipperary Historian, and Poet, – all metaphors which best depict and introduce Tom Noone, writing here about his beloved and adopted Tipperary. Is there any corner of the world where these words have not rung out in a hundred voices on a thousand nights? Is there a more tuneful marching song to be heard, whenever and wherever men gather to socialise and reminisce about days that were and never more will be? But, out of all the millions who have heard its melodious calling, how many have been able to visit and enjoy this most splendid of Irish counties? Of all the voices raised in harmony in a myriad of locations, how many know where Tipperary, or indeed Ireland, is located? The song was written by John (Jack) Judge (1872 – 1938), grandson of a Tipperary man, and Harry Williams in 1912, and adopted shortly afterwards as a marching song by British soldiers as they advanced along the Western Front during World War I. It was also recorded by the Irish tenor nonpareil, John Count McCormack (1884-1945). The lyrics poked some gentle fun at the Irish way of doing things and while we cannot doubt Judge’s love of his ancestral home, the song does not convey anything of the history and heritage of the place. As with most counties in Ireland, the principal attractions of Tipperary are well-documented in travel journals, guide books, tourist handbooks and other promotional aids. 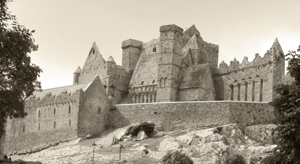 There can be few travellers anywhere who have not heard about, or seen pictures of, the majestic Rock of Cashel, the jewel in the crown of ancient Irish architecture. Similarly, Athassel Abbey, Cahir Castle, Kilcooley Abbey and other gifts from our rich heritage all feature in media presentations of one kind or another. However, these are not the only ingredients for enjoying the visual, social, pastoral or historical beauty of the county. There is a multiplicity of attractions for visitor and local alike to enjoy, whatever one’s interest. Go to one of the many lake or river features on a bright summer’s evening or walk one of the many undemanding wooded trails where you can appreciate the sylvan beauty, hidden from the stresses and strains of modern life. You will experience the joy of nature and the gentle cloak of history, that is a constant for Tipperary people. They enjoy the natural beauty and all the God-given features of their homeland with a passion and they, more than most, appreciate the attractions of those parts of their county that constitute Hidden Tipperary. A long, long way to Tipperary? Check for yourself on the following signpost of what is on offer in this great region. In ancient times, the island of Ireland was divided into the five kingdoms of Ulster, Connacht, Leinster, Munster and Meath. Over the centuries, Meath was subsumed into Leinster and the provinces were subsequently sub-divided into the thirty-two counties we have today. The divisions were based largely on the old clan or tribal territories. Munster is the most southerly of the provinces and has six counties, one of which is Tipperary, and it forms part of the eastern border with Leinster. The county of Tipperary itself has a most distinctive outline on the map, with some suggesting it resembles an ancient monk with head bowed in prayer, an opinion that may be entirely apposite in view of the many fine monastic settlements that survive. In area, it is the sixth largest of the counties, covering some 4,303 sq. km (1,661 sq mls) and containing some of the most fertile and picturesque countryside in Ireland. It is also the largest landlocked county. Its name in Gaelic, Tiobraid Árann, translates as “The Well of Arra,” from the river which has its source in the parish of Lattin-Cullen, close to the county town of Tipperary. In terms of accessibility from abroad, Shannon, Dublin, Cork, Galway and Waterford airports are all within easy driving distance from various points in the county, as are Rosslare, the nearest seaport to the east, and Cork, the nearest to the south. Internally, Tipperary is within easy reach of the major urban areas of Dublin, Galway, Limerick, Cork and Waterford. The county straddles the M8 motorway from Dublin to Cork and the M7 motorway from Limerick to Dublin. The N24 road from Limerick to Waterford runs through the southern half of Tipperary, serving Tipperary Town, Cahir and Clonmel, and providing access to the motorways. Bus Eireann and private bus companies operate regular services across the county and to the major urban areas, while Iarnród Éireann, (Irish Rail) the national railway, serves the county through a number of stations situated on the Dublin to Cork, Dublin to Limerick and Limerick to Waterford rail lines, with trains commuting to and from Cork and Dublin almost every hour. What Is Special About Tipperary? Modern infrastructural features sit easily alongside carefully preserved reminders of life and times gone by. Shimmering lakes, lush green valleys nurtured by river and stream, magnificent examples of Ireland’s proud heritage in the form of Castles, Monasteries and splendid urban buildings abound all around the county. 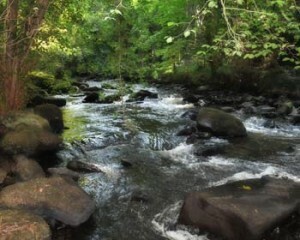 You will find just a small sample of the delightful mix of babbling brook and rustic calmness that epitomises Hidden Tipperary in our video on this site featuring the sylvan beauty of the Clare Glens. Tipperary is home to some 150,000 people, and is unique among the non-urban Irish counties in that it is divided in two for administrative purposes; North, with Nenagh (Irish: Aonachas. 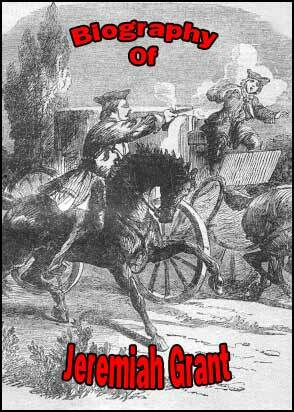 English translation“The Fair of Ormond.” ) its capital, and South, with Clonmel (Irish: Cluain Meala, English translation “Honey Meadow.”) as its capital. While this serves admirably for local government, it has no impact at all on the unified pride and identity of the people relative to their heritage, culture and history. There is always just a one-word answer when you ask locals where they come from – “Tipp!” the popular abbreviation of the county name. This carries over to the county’s exceptionally strong sporting legacy covering the entire spectrum of Irish and International sports. You will find evidence and memorabilia of this in every nook and cranny. The county forms part of the central plain of Ireland, but also contains several mountain ranges which rise majestically on all four sides of the county. The Comeragh and the Knockmealdown Mountains are glaciated mountain ranges running along the south east and western borders of the county. These ranges are crossed by a high pass, through which runs the old mail coach road from Lismore in Waterford to Clogheen in Co.Tipperary. The Galtee Mountains cross the western border of Tipperary. They are Ireland’s highest inland mountain range, rising almost sheer from the surrounding plain, with the highest peak Galtymore rising to 917 m (3,009 ft), and are a very popular destination for climbers of all grades. It is doubtful if there is a more scenic introduction to any county in Ireland than that presented by the Galtees as you approach Tipperary from the south. To one born in Tipp, it stirs the blood. The Silvermines and Slieve Felim mountain ranges are situated in the north of the county and contain Keeper Hill, (Irish: Sliabh Coimeálta, meaning “Mountain of Guarding”) 694 m (2,277 ft), on the western border of the ranges. Wrapped in 3,300 hectares of forest, it is the highest mountain in the Shannon area. The Slieveardagh Hills are situated on the north eastern borders of Tipperary with the highest point being Clomantagh Hill at 349 m (1,145 ft). Slievenamon, 721 m (2,365 ft), is located in the south of the county near Clonmel. It is a striking conical mass, offering a dramatic view from the top over the county of Tipperary. In Irish legend this mountain is said to have got its name from the ancient fairy women who enchanted a warrior named Fionn mac Cumhaill. The mountains to the south create numerous fine streams and rivers which augment the river Suir as it wends its way, draining this area to the southern Irish seashore, while the northern areas of the county are drained by tributaries of the Shannon, which widens into Lough Derg on its northern border. There are well laid out walks for all levels of expertise on hillside and mountain trails on all of the ranges. 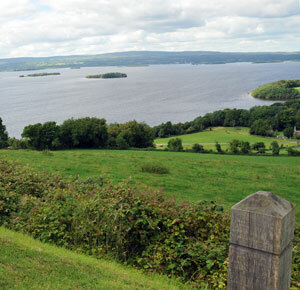 The county shares its western border with the Shannon, Ireland’s longest river, and also with Lough Derg, the biggest of this river’s three natural lakes. With such a variety and range of scenic features it is no wonder Tipperary has been described as “a haven of beauty and tranquillity” and where the pace of life remains unhurried. Tipperary is renowned for the mature trees and woodlands of ancient estates, and the remains of these landscaped grounds still remain mostly preserved. Throughout the county, from mountains to pasture, from Lakeland to swamp, an abundance of wild flowers and heather covers the landscape. It’s an important aspect of our surroundings, and one that the local people don’t neglect. For example, experts are currently hard at work re-colonising the cutaway bogs surrounding Slieveardagh with flora and fauna traditionally associated with this habitat. In Emly, the community has developed wildlife gardens, and in Fethard the Clashawley River has been cultivated to provide willow plantations for the basket weaving industry. In Thurles, great work has been done in preserving flora and fauna in the Cabragh Wetlands. Many others abound. 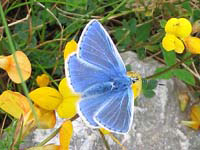 For botanists, ornithologists and lepidopterists, this county of great natural beauty contains rare plants and species of birds, not to mention 60% of Ireland’s butterfly species. Tipperary is one of the leading locations for horse breeding with a number of world famous stud farms and training stables. Coolmore Stud, the world’s largest thoroughbred breeding organization, is located in Fethard. The thriving agricultural industry in the county is now allied to an ever growing tourist industry. Whether you are interested in heritage & history, arts & culture, hill walking, valley walking, cycling tours, driving tours, horse riding, horse racing, greyhound racing, golf, shopping, food and drink, or most anything else—you will find it here. Many songs commemorate Tipperary, one of which we described in the opening paragraph. But for the people who live here, the song closest to their hearts is surely “Slievenamon,” placing the great mountain in its proper place in the hearts of the people. Written by one of Tipperary’s most famous historical figures, Charles J. Kickham, (1828-1882) it is generally regarded as the anthem of the county and is sung with passion in victory or defeat at all sporting fixtures involving Tipperary. Another song “Tipperary So Far Away,” is a lament for Seán Treacy, (1895-1920) a Tipperary man linked with the Irish Republican Brotherhood (IRB), the predecessor of the Irish Republican Army (IRA). He participated in the first military clash of the War of Independence and was killed on 14 October 1920 in Dublin’s Talbot Street. The county is one of the great repositories of traditional music and dance, flourishing and celebrated right across the county. Many pubs feature traditional Irish music nights where the ‘craic‘ (Irish expression for enjoyment) is often up to ninety. If you prefer the more restrained approach to traditional music, then you will find enjoyment in one of the many venues that cater for the more concert-style presentations. Scattered throughout this historical county, famed for its rich heritage and culture, are important archaeological sites, with numerous castles and old historical estate houses. Some of the most visited attractions in all of Ireland are located here in the green valleys of Tipperary. For example,the Rock of Cashel, home to royalty since time immemorial, is world renowned and attracts thousands of visitors each year. Ireland’s Patron Saint, St. Patrick, baptized a king there, and Brian Boru (Brian Bóruma mac Cennétig) celebrated his coronation at Cashel before building up the surrounding fortifications in 990 A.D.
One of the most famous Tipperary hills is known as the Devil’s Bit near Templemore. According to local folk lore, it got its name when the devil took a bite from it as he chased St. Patrick across the country. He threw it after the Saint, but missed. The great chunk of earth and stone fell to ground and created the area now known as the Rock of Cashel! Believe it or not – we certainly do! This is the best-known of our ancient monuments, but there are literally dozens of others and all well worth a visit. And, of course, to bring history to life in a personal way, there are many genealogical and heritage centres available to the amateur family historian and skilled researcher alike. So, if delving into local or family history is your pleasure, Tipperary can offer researchers a treasure trove of information through the local studies section in the many branches of Tipperary Libraries and the local Heritage Centres around the county. Apart from its scenery and its excellent facilities for pastimes such as angling, golf, mountain climbing, swimming, caving, mountain biking, motorbike scrambling and hunting, Tipperary is also regarded as the true home of Gaelic Games, and ancient Irish sports such as football, handball, camogie and hurling are deeply rooted here following the setting up of the Gaelic Athletic Association (GAA) in 1884 at Hayes’ Hotel in Thurles. Tipperary’s county teams have enjoyed huge success at all levels of Gaelic sports and these games remain extremely popular with Irish people. 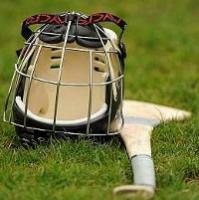 Soccer, rugby, hockey, boxing, horse racing and greyhound racing are also much enjoyed in the county. Tipperary also makes for a great destination for walkers, hikers and cyclists. You can experience the diverse scenery from the top of a mountain or the rushing waters of our lowland streams and rivers. Coillte, the Irish forestry organisation, has a large number of recreation sites for visitors. Parks are open all year round, with clearly marked routes for the casual walkers, car parking, and picnic facilities. In common with the rest of the country, Tipperary is extremely well served with good quality hotels, guest houses, farmhouse accommodation, bars, restaurants and fast food outlets offering satisfaction to the hungry or thirsty visitor, and a number of Farmer’s Markets take place on a weekly basis where you can purchase locally grown and produced food products. A feature of Irish and Tipperary life is that we love visitors and we always like to make them welcome. But, although most Irish people would win Olympic gold medals for talking, we can sometimes be inexplicably shy when confronted by strangers so, whenever you find yourself as a visitor, in a new place, just put on your best smile and say, “Hey, how’s it going?”. (Hint – in Tipp, say “Well” instead of “Hey“). You’ll be right at home! A long, long way to Tipperary? No, that is only in the mind, because once you make the journey, the magic of Hidden Tipperary will stay bright within your memory. Hidden Tipperary is a very good initiative. It would be great to see it expanded to include historical and other information about other parts of Tipperary, including gravestone inscriptions from graves in other parishes throughout the county. Also a list of Tipperary books published and where they can be sourced would be helpful. Thank you for your kind comments. Certainly more history will appear in the coming months, however graveyards are a problem because of the huge research time required. More Graveyards however will also appear as we continue to expand. Do continue to check back to our site on a regular basis. I am passionate about learning all I can about County Tipperary and found this article most enlightening. I look forward to reading more articles. 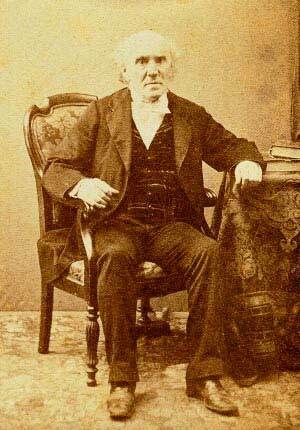 My great grandfather emigrated from Carrick on Suir to the U.S. approximately 1842-1845. My dream would be to vacate and research family history in Tipperary. Travelling to the South on the ‘old road’, for many years, I often wondered what was behind those hills to the left, as I went through the Urlingford area. It’s Slieveardagh,and it’s a revelation!. Locating ourselves for 2 ‘B & B’ nights in Dualla, outside Cashel, allowed us to explore the Slieveardagh area, down to Clonmel. History, industrial archeaelogy, scenery, it’s got everything.! We also experienced a genuine Tipp welcome. The fast Motorways to the South don’t always help tourism in Tipperary. We’ll be back ! Thank you George, you are more than welcome. I wrote that little poem about 5 years ago. From the publication “That I May See” by Tom Kearney. This booklet is available in all Tipperary public libraries . In the bog of Ballymore. O’er the bog of Ballymore. Through the bog of Ballymore. The bog of Ballymore referred to in this ballad is situated in the townland of Gooldscross, approx. 8 miles from Cashel in the county of Tipperary. Tom Kearney. This booklet is available in all public libraries in Tipperary.